Leading nutritionist and chef, Janella Purcell, has been announced as the brand ambassador for Lifestream Australia—one of the country’s most premium and trusted wholefood and supplement brands. 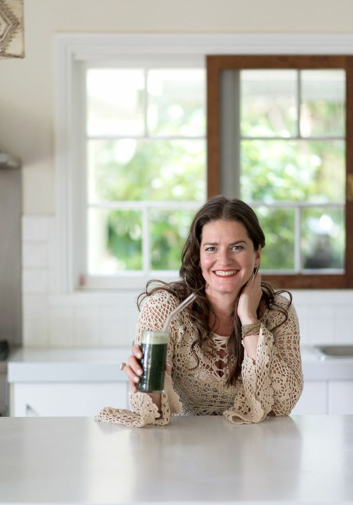 A sought-after naturopath, nutritionist, medical herbalist, environmentalist, TV presenter and chef, Purcell has joined Lifestream as a natural health educator and ambassador of such wholefood products as Spirulina, Aloe Vera, Chlorella and Barley Grass. During her 2014/15 ambassadorship, she will also help the Kiwi-born company celebrate its 30th Australian anniversary. Purcell has been a regular on Australian television with a segment on What’s Good For You and The Biggest Loser, and as the “good chef” on Good Chef, Bad Chef. She is also a contributor and columnist for some of Australia’s best-loved magazines, websites and blogs. “Our philosophies are the same, so it was only natural that we should collaborate. Lifestream understands that every person has their own nutritional needs, yet everyone requires clean, natural foods and supplements that support the body in pursuit of vitality, nourishment and protection. I’m so thrilled to be involved with a company that has such an uncompromising commitment to excellence,” says Purcell. Lifestream Australia’s brand development manager Shelley Atkin says Purcell is a perfect fit for the company and its commitment to provide only the cleanest, healthiest food and supplements. “Janella Purcell is widely considered one of Australia’s most knowledgeable and approachable nutritionists and chefs—we are both excited to announce our partnership,” Atkin says. Before spirulina and aloe vera were household names, Lifestream produced these two highest quality, best-selling natural vegan supplements—and as a result, cemented its reputation as market leaders and innovators in these two categories. Since then, Lifestream’s entire product range has followed suit, with the highest quality ingredients chosen to foster health and wellbeing. 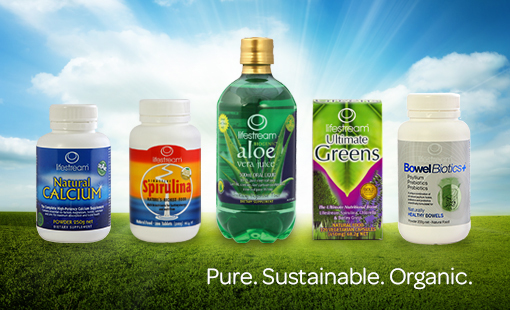 Lifestream has always produced clean, green and 100% natural, vegetarian and vegan-friendly products. Their uncompromising commitment to such excellence has resulted in a high level of loyalty with our customers. For 30 years, Lifestream, which is distributed in Australia by Planet Health, has embodied purity, consistency, quality and integrity. Lifestream’s extensive range encompasses ultimate nutrition, energy, antioxidants, bowel and digestive health, immunity, joint and bone health, and omegas. Products include: Chlorella, Barley Grass, Wheat Grass, Natural Calcium, Ultimate Greens, V-Omega 3 and others. See entire product range here. A sought-after naturopath, nutritionist, medical herbalist, iridologist and chef, Janella Purcell has been a regular on Australian television with appearances on Masterchef, and as the “good chef” on Good Chef, Bad Chef. She is also a regular contributor, columnist for many of Australia’s best-loved magazines including Nourish, Woman’s Day and Good Medicine magazines. As an author, Janella has three best-selling books, including Eating for the Seasons, which won the “best health and nutrition” category at the International Gourmand Awards. Janella’s Wholefood Kitchen was also shortlisted for the prestigious award. She will release her fourth book this year. Janella has combined her vast knowledge of food and nutrition to create a multi-disciplined approach to health and wellbeing. Dedicated to a core philosophy of food as medicine, Janella teaches how to get the most out of our meals – and how to avoid the pitfalls. She has been working with wholefoods since childhood and honing special diets for the past 15 years.